It’s already well-known what many people think about robots. But what would robots have to say about humans? 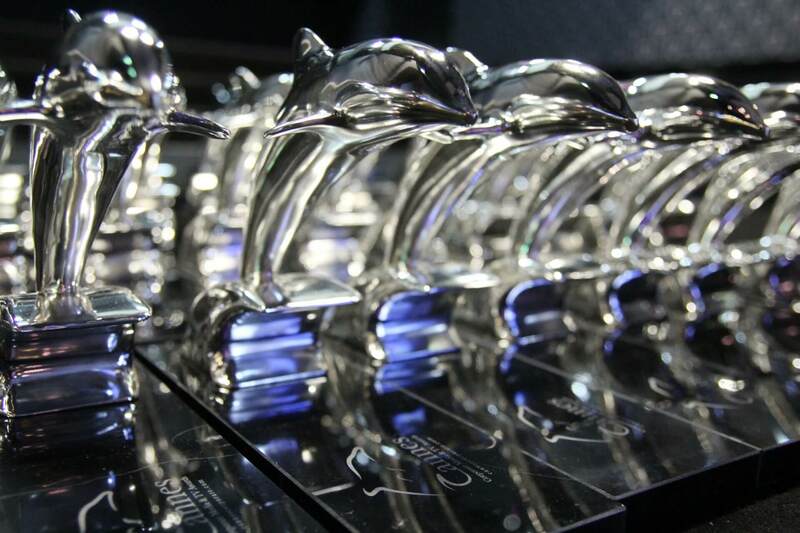 For the International CES in Las Vegas, OSK shifted its perspective in just this way to produce a comic animated video on behalf of Daimler. 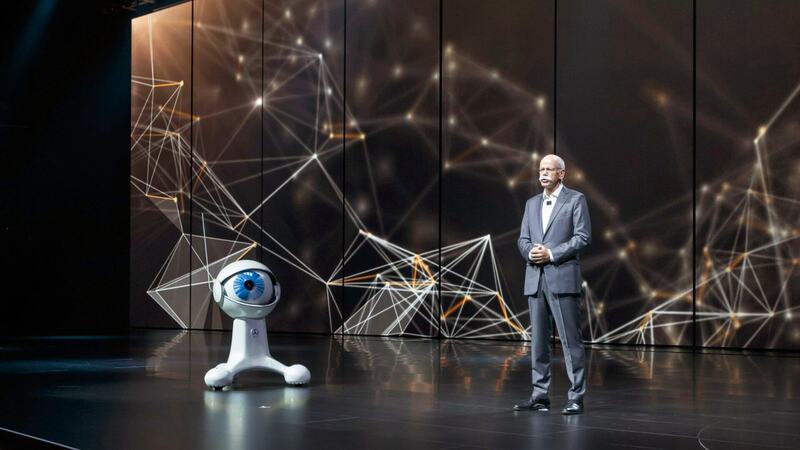 The film was presented to an audience of 1,500 guests, including numerous journalists, bloggers and social media influencers, as a tongue-in-cheek prelude to the keynote speech of Daimler CEO Dieter Zetsche. 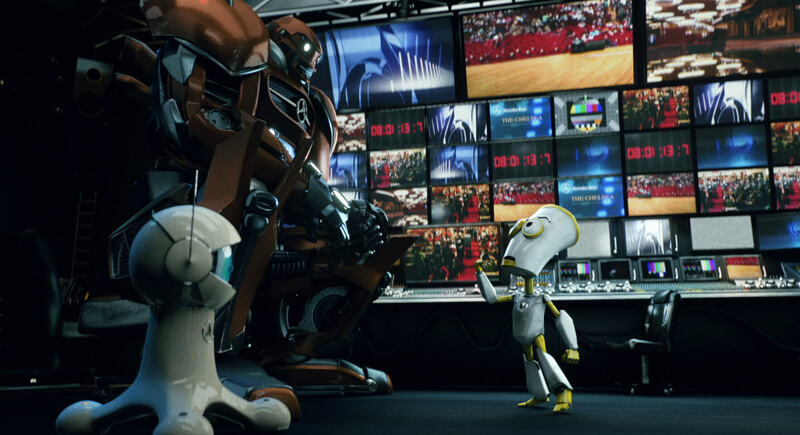 The setting for the story is a control room where, just a few minutes before the speech, the two robots Bigbot and Tinybot are discussing the pros and cons of the human species. Their conversation is interrupted when Dr. Zietsche enters the room to collect the third robot, Cambot, for his appearance on stage. 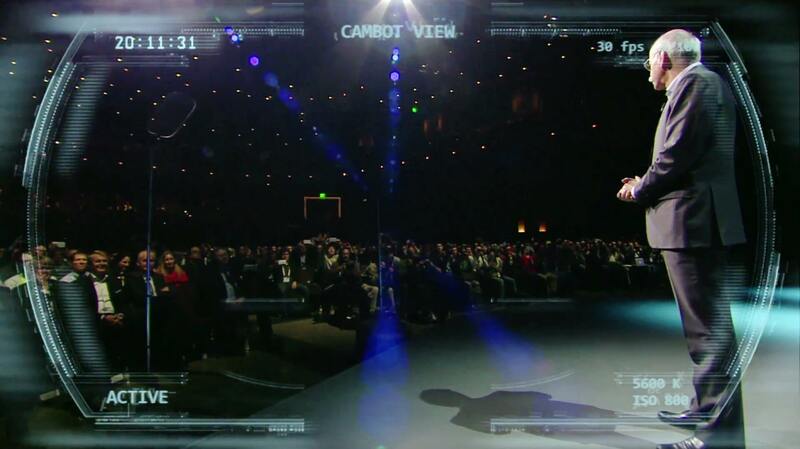 Film and real life then merge as the CEO and Cambot walk straight out of the video onto the stage of the theater. During the presentation, the little robot plays the part of the likeable sidekick. This comic scene was played out to launch the world premiere of the F 015 Luxury in Motion concept, an autonomous high-tech car. A key notion underpinning the research vehicle is the continuous exchange of information between the car, its occupants and the outside world. Bringing this relationship to life on the stage was a major objective of the presentation. And what better way to achieve this goal than to have humans interacting with robots? The basic idea for the film and stage show was thus born, and the OSK team set about developing the storyboard and all the characters for the video – from the first small sketches to the scripts and the model robots. 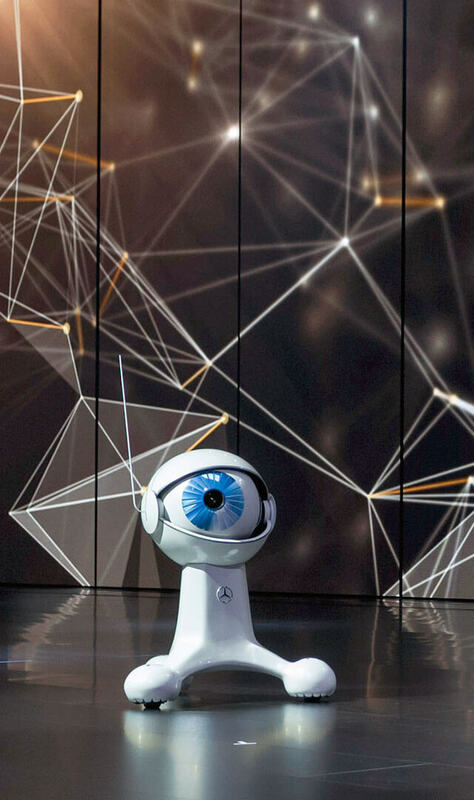 Among the creations was Cambot, the digital character that accompanied Dr. Zietsche to many of his presentations for an entire year. By capturing the tastes and tone of voice of the young, largely technophile audience, the robot video proved to be a massive hit in its own right. 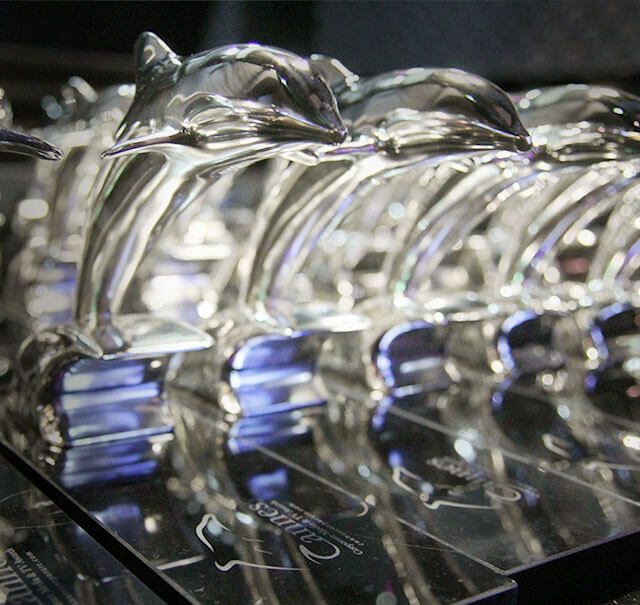 The entire film and individual clips featured widely in the coverage of the CES produced by both the media and influencers. The footage was shared and quickly became a viral phenomenon on the internet.